If you have ever accidentally left any of your lights on inside of your car overnight, or while at work, you may find yourself walking into an unresponsive car. 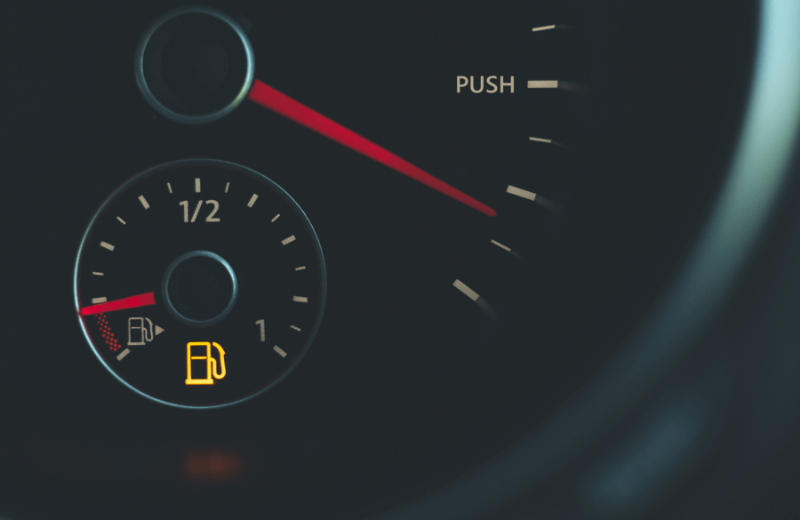 Turning your vehicle may result in a few different events, all of which will cause the car battery indicator light to illuminate (unless your car is completely dead). The most common of which will result in a constant clicking noise which will display some action from the dashboard’s needles and lights to begin illuminating. As stated above, one of the most common occurrences of the car battery light on is attributed to your vehicle losing power. Whether we left a dome light, or console light, on overnight. This is just one of the most common instances of a battery on car dashboard illuminating, as there is a few. Other reasons could be attributed to bad battery terminals, a bad alternator, or even an older battery that cannot provide the required power to the vehicle. The most common temporary fix to these issues would be to jump start the battery. To do so, you will require a pair of jumper cables & a second vehicle to provide the power necessary to jump start the battery. One of the easiest to remedy situations when it comes to a battery light illuminating is by checking the age and condition of the battery inside of your vehicle. As most batteries are only rated for a 5-6-year lifespan, your battery could be alive one day and dead the next. Most commonly you will notice power variations while driving such as reduced engine power at times, or a drop in the needles happening more frequently. If this occurs, we have a car battery buying guide for your vehicle with the correct model, size and Cold Cranks will provide you with a working battery to get back on the road with minimal time lost. In the instance of a bad alternator your car may still start up as normal, as a fully charged battery will allow you to continue operating exactly as normal. Though, while you are driving you may notice the battery indicator light illuminating and the battery gauge constantly going down. If you continually operate the vehicle you will notice engine power reducing gradually, and once you turn off the vehicle it is unlikely it will power back on until the battery is charged. If this is the case the best procedure would be to stop at the nearest repair facility to get your vehicles alternator fixed. One temporary remedy for local driving would be to purchase a battery charger that plugs into an AC outlet and will charge your vehicles battery via alligator clips. If the weather is colder than normal you may notice your vehicle starting up harsher than it usually does. In some instances, the battery light will illuminate when you are trying to start up a car with a battery with lower cold cranks than required by your vehicle. This is a common occurrence when someone purchases a battery on their own to have installed (or installed themselves) as cars with the larger engine variation will require a higher cold crank rating for winter start up. If you are confused as to what cold cranks are you can check out our battery purchasing guide to see exactly what cold cranks are. Recalling to a previous cause of an illumined battery light stated before, there is a chance that the wires connecting to the battery terminals may be bad. This could be due to causes such as the previously stated paint covering the terminals, or bad wiring. As some of the car manufacturers will take a cosmetic priority over the actual functionality. In this case, sanding down the terminals with sandpaper will allow you to expose enough of the metallic terminals to provide enough area to re hook the wiring. Unfortunately, there will be issues that will arise that will cause the battery icon to illuminate on your dashboard that a simple remedy won’t fix. If this is the case towing your car to a mechanic is your only option as the issue could be an error on the onboard computer. This issue will only be able to be repaired by a mechanic with the correct tools to access and correct the computer, or sensor, issue.